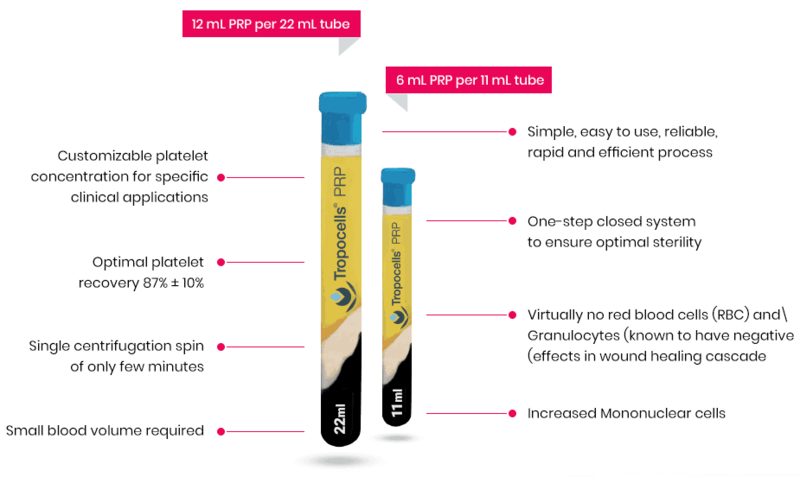 Enables for high platelet concentration by reducing volume of plasma. Rapid and simple one step process – only one centrifugation step and a single primary tube. Adjustment to a specific clinical application by controlling the final PRP volume. Specifically designed filters to facilitate PRP harvesting. Pre filled with a unique proprietary anticoagulant to ensure accuracy and reduce error. *FDA clearance for orthopaedic applications.